Last month's Southern Bloggers Jubilee meeting was held at the Fairhope Museum of History. Our group was given the privilege of both using their meeting room AND getting a tour of the current exhibit. Mr. Donnie Barrett, the museum's director, was our tour guide. He was filled with a wealth of information and facts that many of us didn't know about our own county's history. It was enlightening for sure. Sorry for the blurry, he was in action. 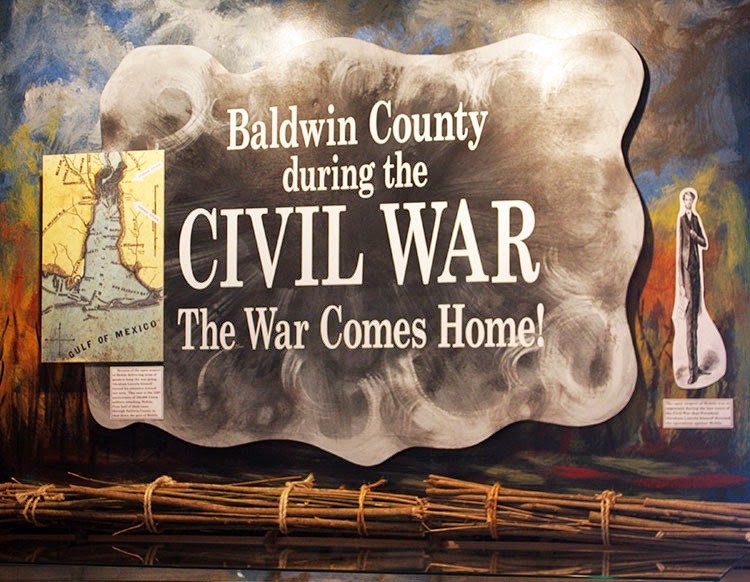 The museum staff went above and beyond in staging the upstairs area for the Civil War exhibit including these facines that wrapped around the exhibit. 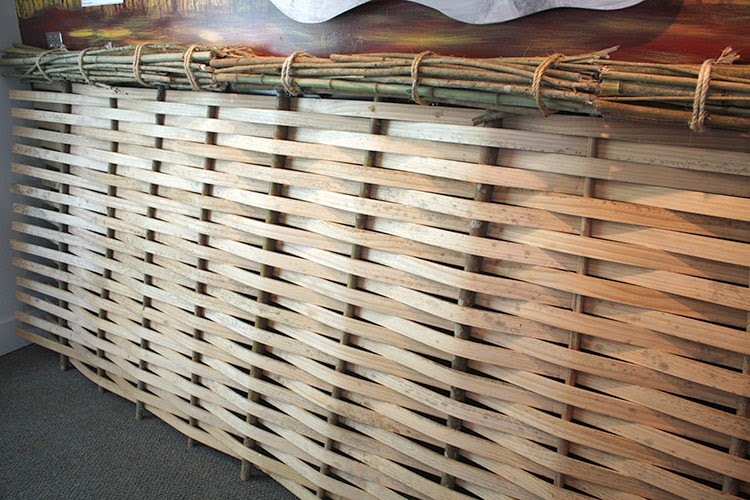 These simple, wooden structures were placed along trenches and around troops to protect against erosion and gunfire. In some cases, they were the only protection the troops had. 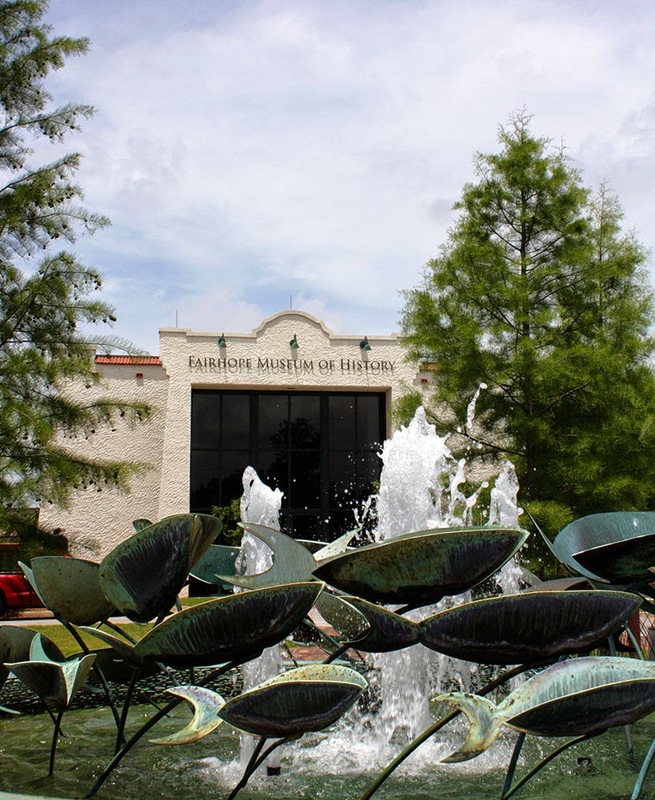 In addition to the tour, the Fairhope Museum has free admission, so we were welcome to peruse the other exhibits. 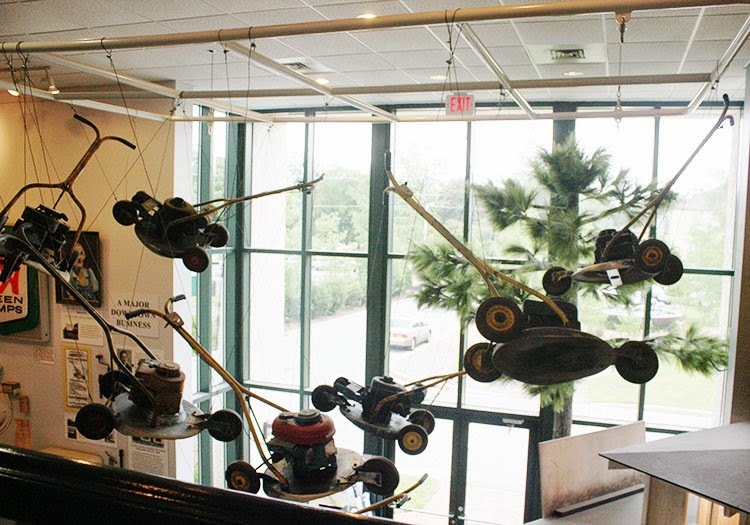 These 'floating' lawnmowers drew my attention. 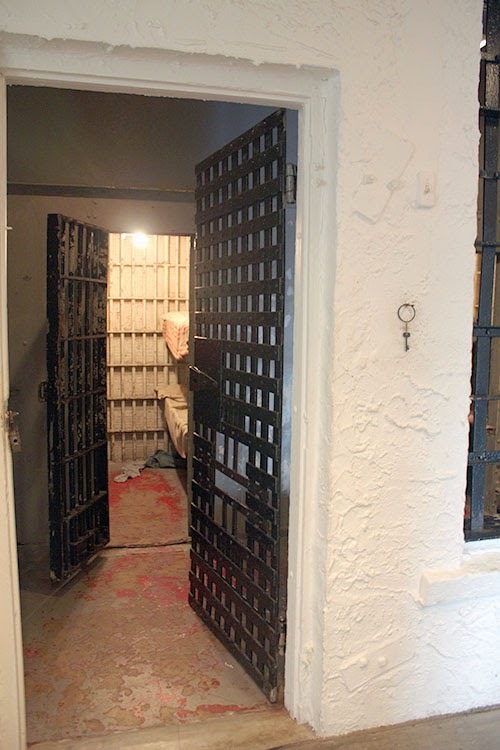 You'll find actual, original jail cells in the museum. 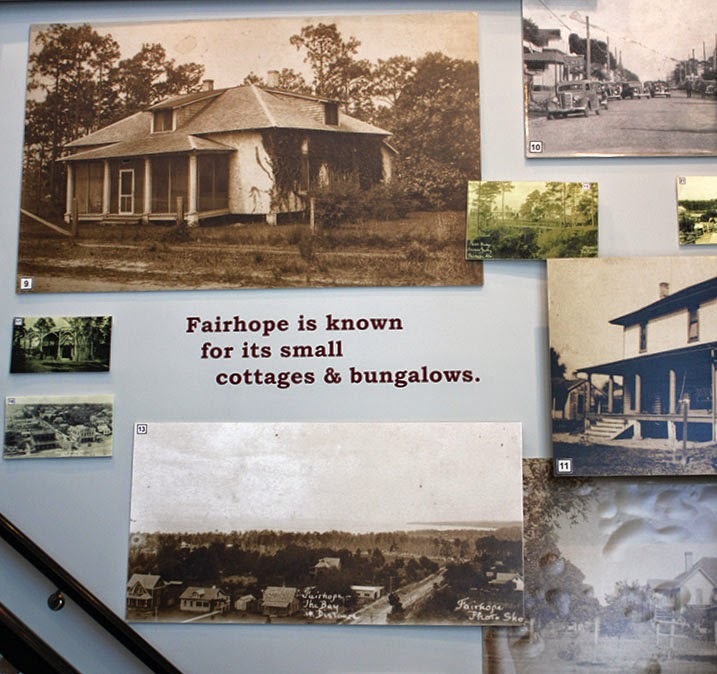 There are permanent as well as special exhibits throughout the museum which tell Fairhope's rich and unique history from its earliest residents to the present. 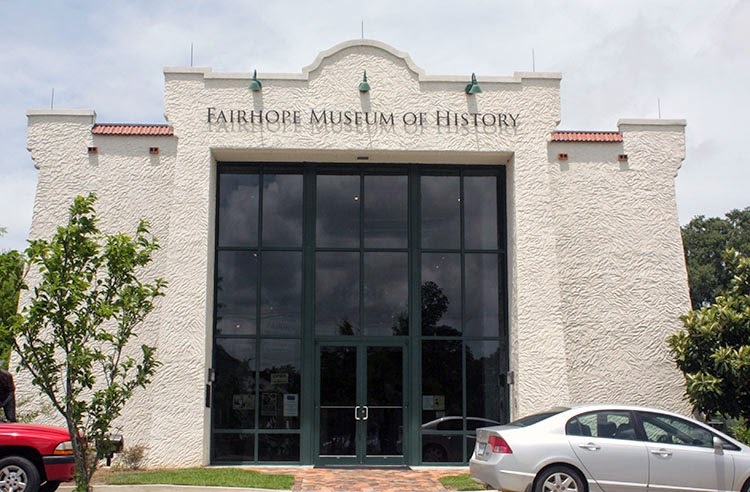 The Fairhope Museum of History is located on 24 North Section Street in Fairhope, AL 36532 and is open Tuesday through Saturday 9am-5pm. As well, you can find out more about what's going on at the museum in its online newsletter as well as on the Friends of the Fairhope Museum of History Facebook Page. I assure you, it's an enlightening place to spend some time. I love the Fairhope Museum of History and am so impressed with the exhibits we get. Great post on our little museum! I love those facines. I stared at them the whole time we were there wondering who made them. I thought they'd made a great fence! Lucky are you to meet with fellow bloggers. The museum looks wonderful. I love museums and we try to visit at least one on our travels. I love reading posts like this one about museums and exhibits far away! One can always learn something new!